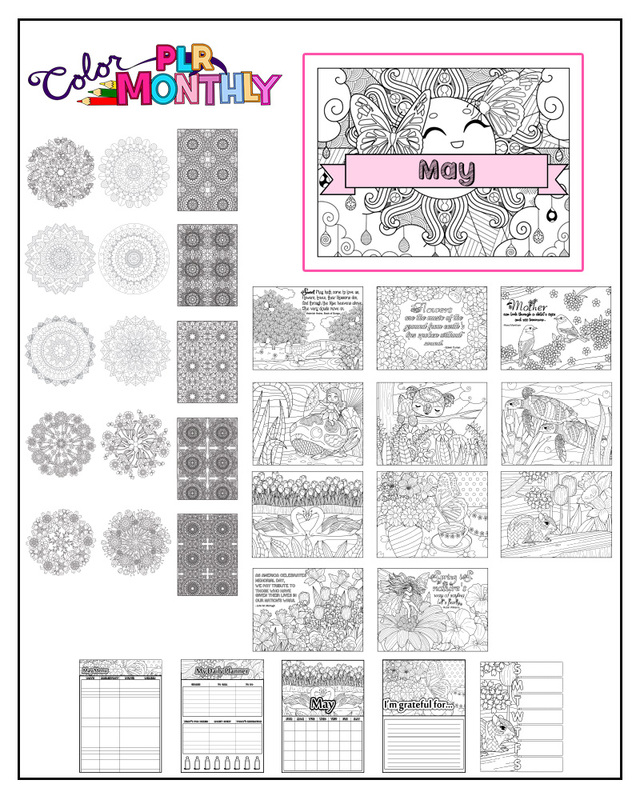 Rayven Monique here with my newest package of coloring designs for adults with PLR rights – our main product, Color Monthly PLR. Customers Who Subscribe First 11 Days Will Be Grandfather’d In To Just $17 A Month! ColorMonthly PLR’s site redesign is complete! And we launch March 1st with our flagship product, our monthly coloring PLR package, which provides customers with a 31-page (plus colorable cover) high quality coloring package with Private Label Rights. All designs are in PDF and JPG, delivered the 2nd Thursday of the month, two calendar months ahead. So, for example, in March, we will be releasing May’s package, which gives our clients plenty of time to get them ready for use. Additionally, the Monthly Calendar, Daily & Weekly Planners, Gratitude Page & Menu Planners all come with PSD files as well. Coloring used to be something adults remembered as a fun childhood pastime. But over the last several years, it’s become quite popular with adults and they’re once again enjoying this favorite activity from years past. Adult coloring pages have grown quite popular in the online content publishing world too. You’ll find them in journals, planners, ebooks, and more. But the mere thought of hiring an artist to create custom pages can be mind numbing! And this is why I’m excited to share a brand-new resource from the Coloring Queen herself, Rayven Monique. She’s just released the Color Monthly PLR monthly membership. P.S. For a limited time (until March 11th) you can sign up at the low introductory offer of just $17/month! 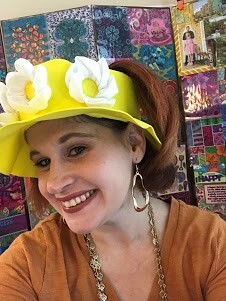 Recently I emailed you with some fun and exciting news my friend Rayven Monique was up to over at Color Monthly – her new monthly PLR membership. A few people emailed with a couple questions so I thought I’d share them with you too, in case you’re wondering the same thing. Will the monthly packages be available a la carte? Yes, they will be available to purchase individually. However, you will pay more purchasing a la carte items. You’ll pay $47 for one package versus (introductory price) $17/month for the subscription option (and you can cancel at any time). Each month, for as long as you remain an active subscriber, you will get one new package delivered the 2nd Thursday every month. 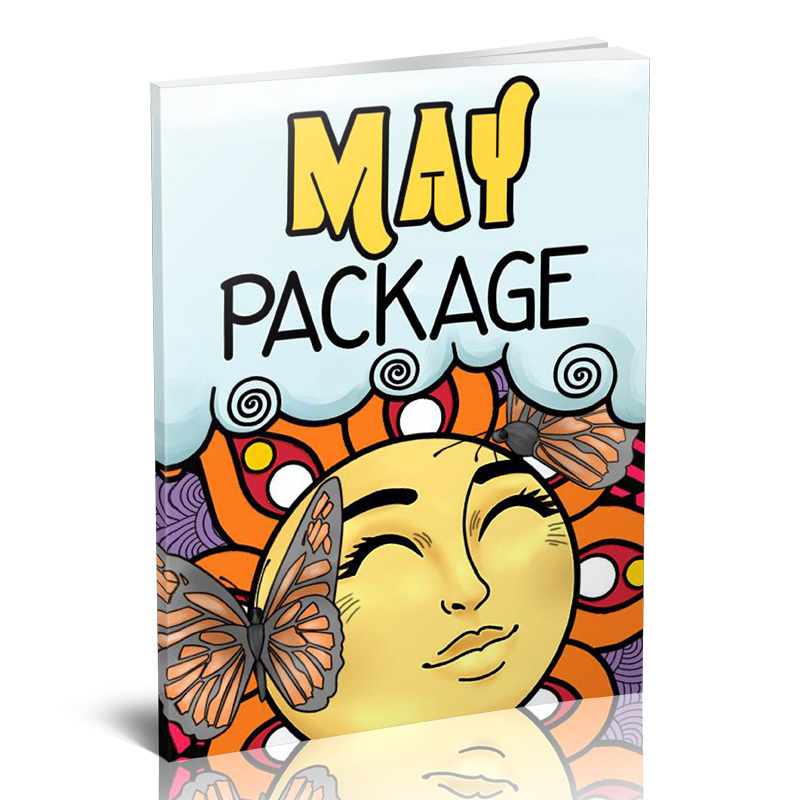 It will always be two months ahead, so, for example, in March you’ll get May’s package. This gives you plenty of time to prepare, market, and deliver to your people. What exactly am I allowed to do with the PLR rights content? What format are the files delivered in? All images come in PDF, JPG, and the Seasonal Monthly Calendar, Daily To-Do List, Weekly To-Do List, Gratitude Page, Menu Planner pages have PSDs included. P.S. Another way you can use the monthly coloring packages is to create your own subscription membership site! Leverage Rayven’s incredible in-house staff so you don’t have to source artists, manage design timelines (or foot the monthly bill for their time!) You’re ready to roll as soon as you join! P.S.S. From now until March 11th you can sign up for just $17/month! Get in on this special introductory offer now before you miss the savings. Have you checked out the new Color Monthly PLR Membership (INSERT YOUR LINK) I’ve been telling you about the last few days? · Pick a page, resize it into a note card and send to clients as a “thinking of you” inspirational relationship builder. · Create a printable planner and journal with inspirational coloring pages and sell it on your website. · Send one of these beautiful pages as a downloadable thank you gift as a PS in your newsletter each week. · Hosting a retreat? Have some of these pages available on the table with markers or colored pencils for “getting to know each other” time in the evenings. · Create a mug or t-shirt or mousepad. · … and so much more! But today, I wanted to remind you that this is your last chance to hop on board and take advantage of the special $17/month introductory offer! Tomorrow the price gets raised to $27/month. So, if you’ve been thinking about joining, now is the time to do it! P.S. No coupon needed. The checkout page will automatically discount the monthly price to $17!